Jonah is the vampire who saved Lailah from the appetites of even darker evil: the vampire Purebloods. Now he must decide whether he will give up his existence so that Lailah will survive—even if it means that she will spend eternity with his friend and rival, the angel Gabriel. 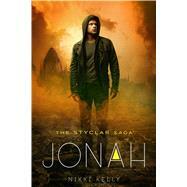 This stunning conclusion to Nikki Kelly's Styclar Saga will have fans deciding once and for all: Team Jonah or Team Gabriel? Nikki Kelly is the author of Lailah and Gabriel, Books One and Two of the Styclar Saga. Lailah was first launched in serial form on Wattpad, an online readers' and writers' community. Within six months, the novel had over one million readers. Nikki lives in London with her husband.